A Staggering 85% of school aged youth reported being verbally harassed because of their sexual orientation or gender identity (1). October 18th is Spirit Day, a day that focuses on spreading awareness to make changes and stand against bullying LGBTQ youth. According to Glaad.org, LGBTQ youth experience bullying at a much higher rate than youth who do not identify with the LGBTQ community. A Staggering 85% of school aged youth reported being verbally harassed because of their sexual orientation or gender identity (1). This is important because many youth that are LGBTQ experience homelessness, bullying, and discrimination at rates higher than their heterosexual and gender norm counterparts. This movement is to open a dialogue among school administers, teachers, case workers, social workers, students, and family members to hear the LGBTQ youth’s stories and to hold others accountable for their actions. Many of these students receiving this type of harassment and bullying do not report it to an adult or authority figure because they believe that nothing will be done to remedy the situation; in fact, as many as 57% do not report such happenings because of this common belief. Even worse, 63% of individuals reported hearing homophobic remarks from school staff because of their gender expression or LGBTQ identification (1). 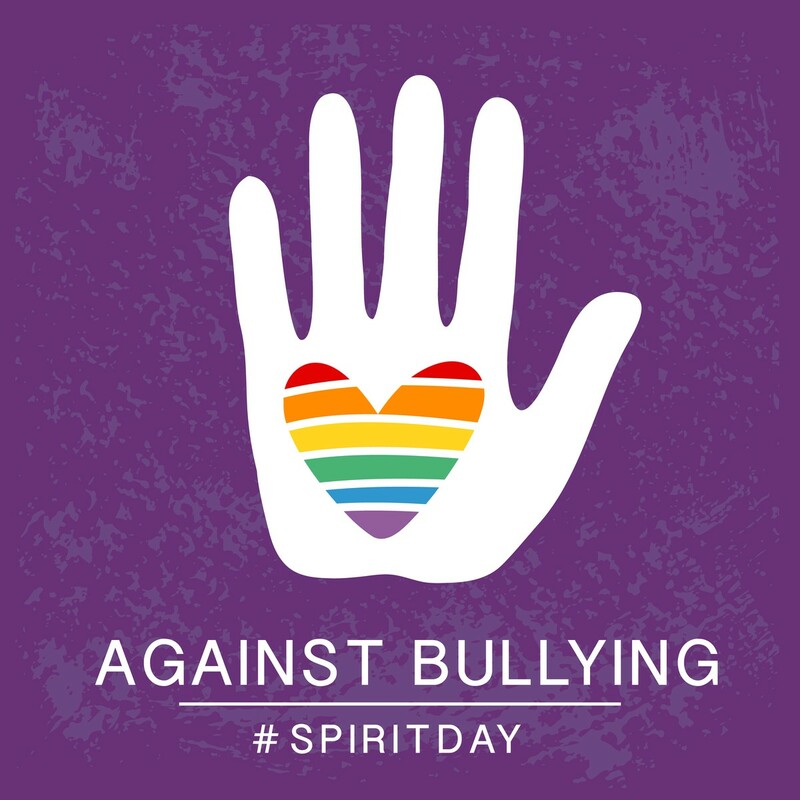 To spread awareness of Spirit Day many are wearing purple and visiting Glaad.org to share information via social media and posting photos with Spirit Day filters pictured below.